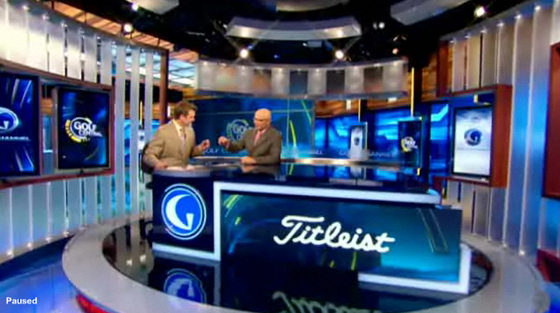 The Golf Channel, the home of professional golf and the PGA, debuted a massive 4,700-square-foot HD studio on Monday. 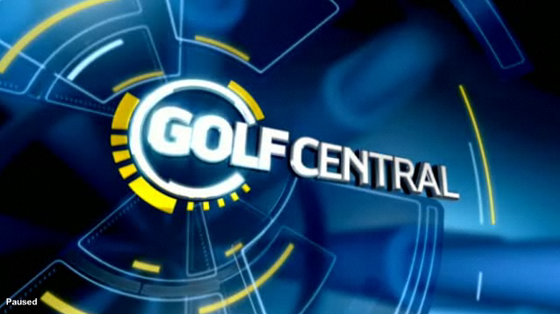 The new HD studio contains four distinct areas for use in various programs including ‘Golf Central,’ the channels nightly news show.“This spectacular new studio – as well as new graphics and music for Golf Central – show our continued commitment to updating and improving our channel,” said Golf Channel President Page Thompson in a statement released earlier this week. 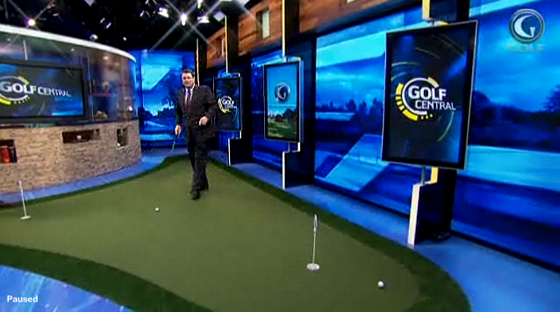 Along with various anchor desks and locations, the studio includes multiple demonstration areas including: a putting green, sand trap, tee box and rough areas. The back studio wall features a unique demonstration area that uses a 23 x 13 feet video wall that functions as a golf simulator created by aboutGolf. 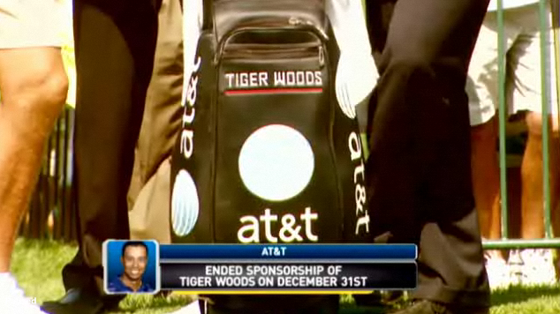 “Not only does the PGA TOUR Simulator apply stereoscopic, high-speed photography technology, it’s used with a proprietary methodology that allows it to achieve an even higher level of accuracy and produce a realistic golf experience,” said Chuck Faust, president of aboutGolf in a statement. 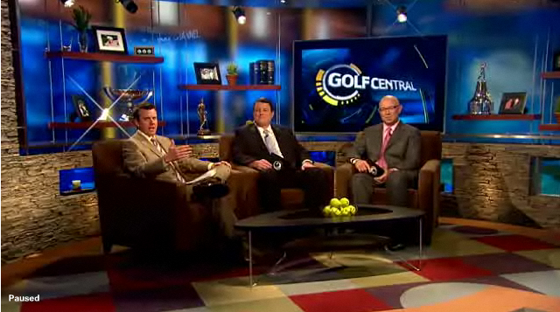 The new studio helped launch Golf Channel in high definition on January 4. 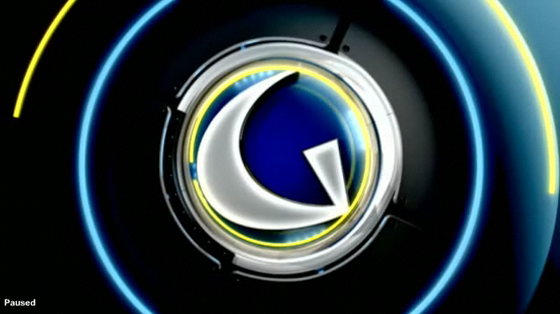 Along with the new studio, new graphics and music were debuted. 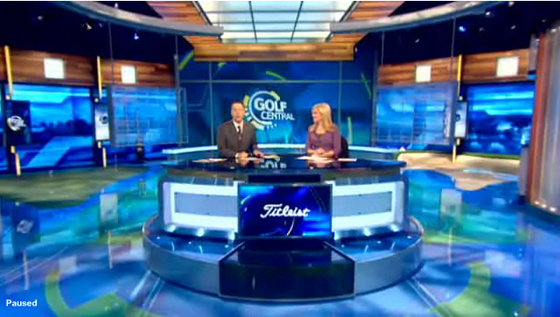 “In addition to providing a contemporary and visually stunning set for our studio programming, this design utilizes technology to provide Golf Channel anchors, analysts and instructors with an advanced state-of-the-art tool set,” said Dan Overleese, Golf Channel vice president of operations in a statement. The new studio was designed by Jack Morton/PDG and fabricated by Mystic Scenic Studios Inc. and took nearly a year to complete along with other infrastructure upgrades.